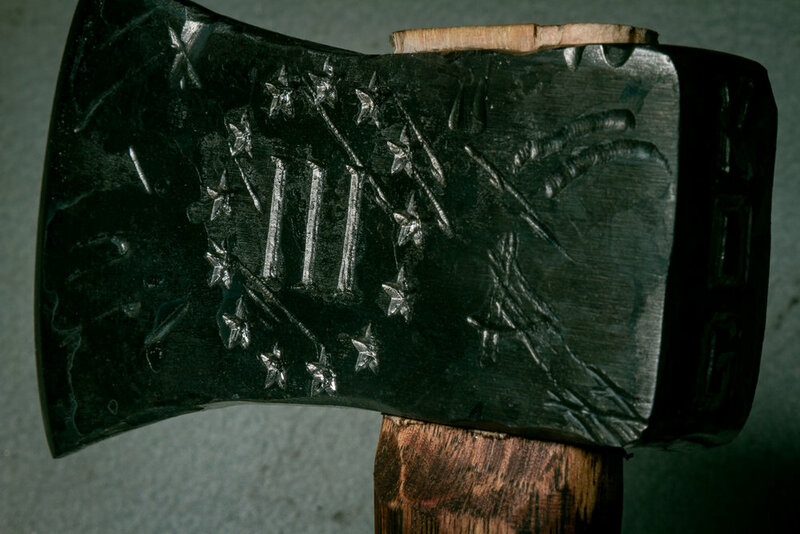 I made this axe for the people. It's shiny, sharp, and you can throw it. This is my instagram. I post here often and if you are a visual person this is the best place to be. 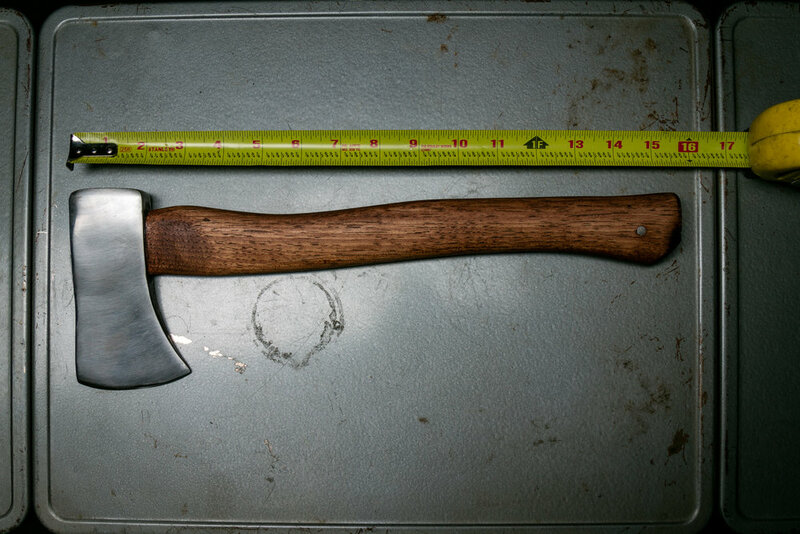 Hand made Axes that have a different approach to hand tools. Usable-Art is what inspired the clash of art. 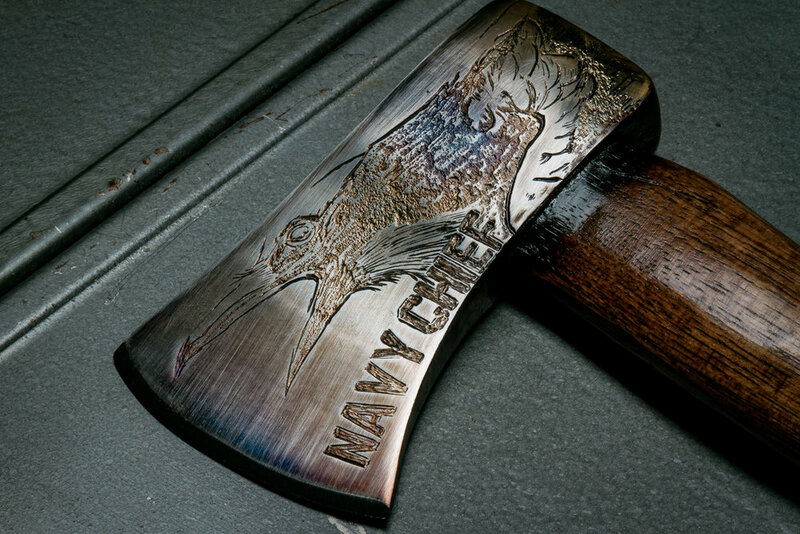 Having a love for axes, for no apparent reason, and learning to engrave is what brought me to this. 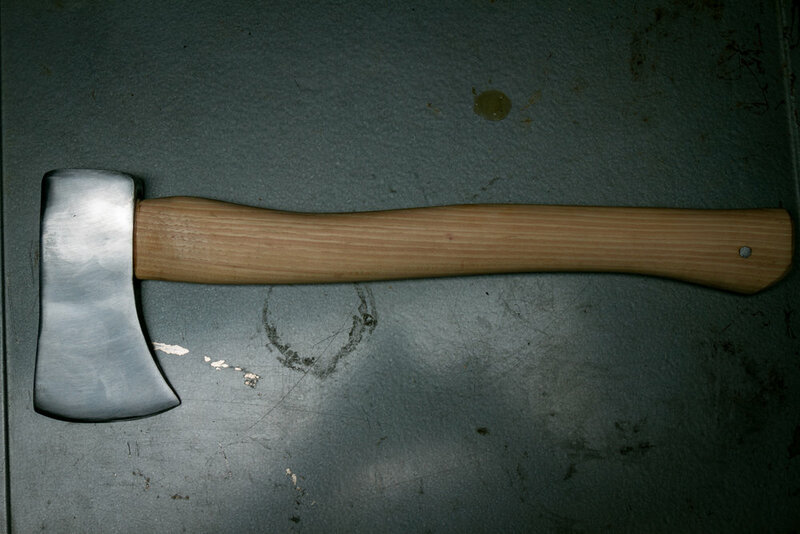 I made this Axe because the phrase it's self made me laugh. 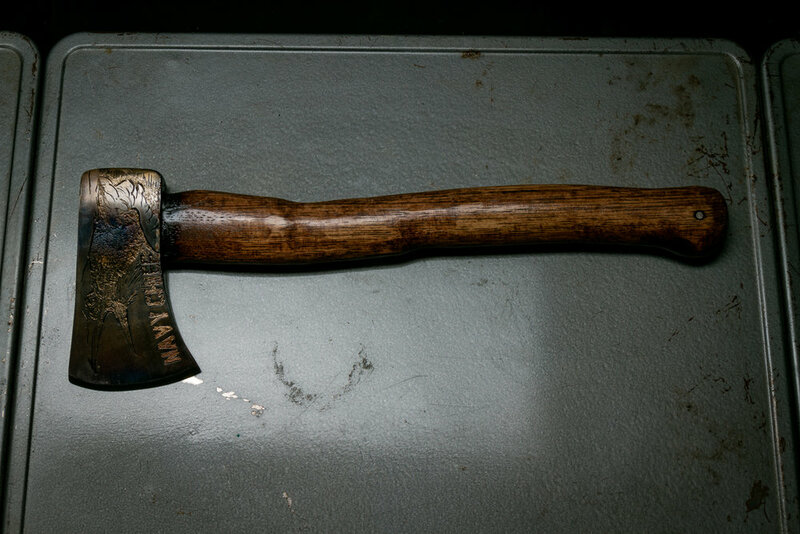 "Swiggity Swooty I'm gonna get that Booty"
All it took was one giggle so i made this axe. This is a stand that Mobious over at Beastwerk helped me design. 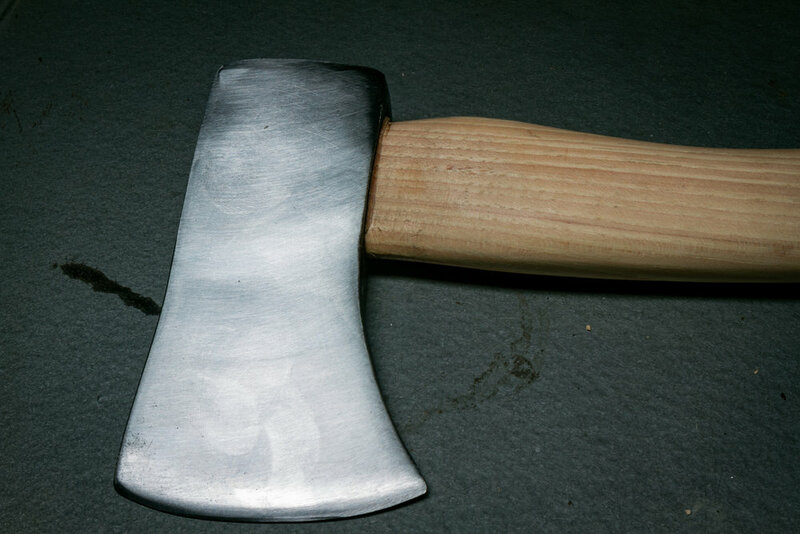 Need a place to set your axe down? Well, we got it.